It’s A Wonderful Life meets New Deal or Raw Deal? in this “excellent map for finding a way forward for either party” (Wall Street Journal)—a personal and social history of the New Deal from a conservative point of view, detailing the effects on the economy, culture, and the people of small American town. When the New Deal Came to Town is a snapshot of a time and place: Whiteland, Indiana during the Great Depression, one of the most fraught eras in American history. Imagine yourself transported back in time to April of 1933 and deposited in a small American town, when a young boy named Wall Street Journal columnist George Melloan moved with his family to this quiet hamlet during the middle of the worst economic period in American history. Part social history, part personal observations, When the New Deal Came to Town provides a keen eyewitness account of how the Depression affected everyday lives and applies those experiences to the larger arena of American politics. 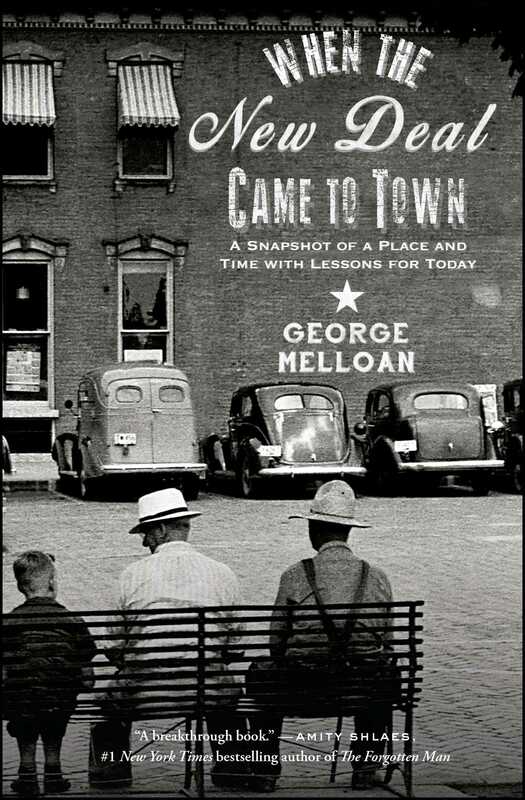 Written with Melloan’s signature “clarity and polemical skill” (The Washington Times), this is a fascinating narrative history that provides new insight into the Great Depression for a new generation. IT’S NOT NECESSARY to doubt the clear superiority of a truly republican form of government to acknowledge a self-evident truth: Even democratically elected leaders and representatives sometimes err. It is equally evident that when Washington makes mistakes, they often are big ones, affecting the lives of millions of citizens. A recent example was the 2010 Affordable Care Act, unpopular because it did not live up to its promise of lower health care costs, raising them instead for much of the middle class. Then there was the Federal Reserve’s zero-bound interest rate policy, which starved savers and pension funds of a decent return and facilitated a governmental spending spree that doubled the national debt in seven years. This book examines a whole string of what we now know were political errors made in the early 1930s by first a Republican president and Congress and then by their Democratic successors, with an unhelpful central bank in a supporting role. Those mistakes veered the nation perilously close to the fascism that was then the politics du jour in much of Europe, to the world’s eventual and extreme sorrow. The 2008 and 1929 market crashes were both preceded by credit booms. The debt bubble that preceded the 2008 debacle began forming in 2002. From that year until the autumn of 2007, the amount of money raised in the U.S. credit markets nearly doubled, rising to an annual rate of $2,742 trillion from $1,398 trillion. It was fostered mainly by government efforts to promote home ownership by promoting mortgage loans to buyers with limited means. The heavy borrowing of the 1920s was different. It was generated in large part by a remarkable era of innovation and the advent of “installment plan” buying that put new products within easier reach. Americans snapped up cars, cabinet radios, and such new labor-savers as electric vacuum cleaners and washing machines. Home sales also surged, hitting a peak in 1925. Household indebtedness went from 15 percent of GDP in 1920 to 32 percent in 1929. As Irving Fisher, a leading economist of the time, observed, debt is deflationary. At some point, people have to stop buying and start paying off their debts. Consumption slows down, and instead of too much money chasing too few goods (inflation), not enough money is chasing too many goods (deflation). That, more than any other cause, accounted for the 1930s slump and its counterpart in 2008. The resulting economic slowdowns brought in radical governments that interfered with the market economy with damaging results. Tons of words have been written about the Great Depression and its causes and effects by scores of economists and political scientists. But I thought it would be interesting to tell the story from the point of view not of policy makers or policy revisionists but of the rural people whose lives were subject to the policies. Interestingly enough, they often supported laws that would cost them dearly. There may be a lesson in that for our modern times, which are generating many of the anxieties that plagued the country back then. The locale for this examination is a small farm town in Indiana called Whiteland, which I happen to know well because it’s where I grew up. This is not a “victims” book. We all know that there were many victims, but their stories have been widely recorded—and sometimes exaggerated for political purposes. Rather it’s the story of how life went on, people coped with economic adversity, and the system of checks and balances that America’s forefathers designed passed a rigorous test. Special praise goes to the judicial branch, particularly the Supreme Court, which helped us through that trying period. The people of Whiteland of that era didn’t know that they were living through what would someday be described as a national disaster. They mainly knew it only as daily life. I suspect that was pretty much true of most Americans, other than those substantial numbers who found themselves in truly desperate straits. For the majority, life changed, but in subtle, not dramatic, ways. As people do now, Whitelanders ate, slept, made love, raised children, and tried to keep body and soul together by finding ways to make a living. In so doing, they sustained a society, a polity, and an economy, although it would never have occurred to them to use those high-flown academic terms as descriptors of their lives. They were well informed. They read newspapers, listened to radio, and, at the cinema, watched Movietone News—the movie house precursor of television news. They debated the bright ideas of the New Dealers and felt fear and concern about the turmoil in Europe as nation-states led by tyrants like Hitler, Mussolini, and Stalin mobilized for a World War I rematch. A few Whitelanders were World War I veterans who had had direct involvement in Europe’s extreme politics, that is, bloody fighting. Others were young men who would soon have that same experience. They had opinions, plenty of them. But they were mainly preoccupied with the task of making a living. The following is about their lives, as I observed them firsthand as a youth. It is a collection of sketches mingled with some critical observations about the public policies that came to bear on them. It is partly a book about economic policy, but never fear. There are no fifty-dollar words or squiggly equations or even graphs. It approaches economics as a behavioral science, if one chooses to believe that the study of human behavior can ever be considered a science. I came out of that small-town environment to spend a long career as a writer and editor at the Wall Street Journal engaged almost daily with the interaction of politics and economics, and it never seemed like much of a science to me. Rather it seemed like an interplay of many millions of humans seeking to fulfill their needs and wants through private transactions. Too often, I think, they sought to reach those objectives through politics, which entails calling forth the coercive power of government. That is a key point of this book. Governments over the last century or so have expanded under the rubric of what has come to be called “economic policy.” In the baldest terms, that means the passage of laws or issuance of binding regulations attempting to guide the behavior of individuals as they go about their daily lives producing goods and services, buying and selling, or investing in the enterprise of other producers. This governmental masterminding often causes outright damage, as was the case in the 1930s. That’s because nobody is smart enough to “manage” a national economy, no matter how many economics Ph.D.s they assemble. An economy, encompassing billions of transactions daily and subject to buffeting from worldwide events like wars and natural disasters, is infinitely complex. Governments have a natural tendency to grow and expand their power. That, after all, is what governments do: govern. As they reach into more and more areas of human endeavor, the likelihood increases that they will tilt the balance to serve selfish political ends, or simply get things wrong. Today’s widespread distrust of government, as indicated by opinion polls, surely reflects a feeling by many Americans that Washington interferes too much and too often gets things wrong. Modern economists have developed extensive tools for taking the temperature of national and global economies, measuring such things as gross production of goods and services, changes in average prices, or the number of people in the national workforce. But even the accuracy of these tools is constantly debated. Is the Bureau of Labor Statistics’ “market basket” used for measuring prices valid, considering the fact that consumer needs and preferences change over time? What does a falling unemployment rate really tell you when so many people who were once considered part of the workforce have given up looking for work? So, if even the measurements of economic health or malaise are exceedingly difficult to execute, what should we think about government’s use of its police powers to actually try to control and direct economic behavior? Quite likely, the broad public is right in treating these efforts with far more skepticism than they usually get from either academia or the press. The policy prescriptions of academics and coverage of economic news often imply that the president and other makers of economic policy somehow “run” the economy, or more implausibly that the president “runs” the entire country. That would have been a good trick even in 1930, when the country was only one-third as populous as now, which is why the New Deal experiments in central planning, thank heaven, mostly flopped. Today there can be serious doubts that the president even “runs” the government, given the plethora of independent regulatory agencies and empire builders within the federal bureaucracy. But it seems that we again are seeing more constitutional abuses by the executive branch like those of the 1930s and that the Supreme Court is less active than it was then in policing those abuses. This book harks back to a time when economic planners, of first one party and then the other, were coming into prominence, issuing one sweeping dictum after another and totally mismanaging that vital medium of exchange and measure of value, the U.S. dollar. It was a decade that saw two spectacular stock market crashes and double-digit levels of joblessness. We will look at all the lever-pulling in Washington, D.C., from the perspective of the people of Whiteland, one of thousands of small farm towns at a time when the economy was heavily agrarian. Farmers had a lot of political power but often didn’t know how to use it in their own best interests, simply because they didn’t know where their best interests lay. People described in this book made the best of things and in so doing kept the wheels of a heavily burdened economy turning. They were individuals like Ralph Barger, the dwarf drayman whose handicap didn’t prevent him from delivering coal to townspeople, and “Sam” Battin, who built a plumbing business from what he had learned about pipe fitting doing maintenance work at the canning factory. Again, economics is about human behavior, which is extremely difficult if not impossible to evaluate and predict “scientifically.” A realistic approach recognizes that economies are built from the ground up, not the top down, by the endeavors of individuals to improve their lives through work, imagination, and initiative. That’s what the people of Whiteland did because they were fortunate enough to have the freedom to do so. After mastering hard times, we went into World War II confident of victory, achieved it in large part because of the innovation and productive power of a vibrant capitalist economy, and came out with a new appreciation of our system and with greatly expanded global responsibilities. Victory changed the tenor of the times. Maybe these glimpses will tell us something about our own era and provide some insight into what is meant by the term “American exceptionalism,” mainly why it is more than a chauvinistic boast. A good synonym would be “economic freedom.” Those often-used words might sound like a cliché to many modern ears. But people I have met who have suffered under political tyranny, even the soft tyranny of what still remains of the British class system, understand clearly what American “exceptionalism” means. They know the difference freedom makes in the quality of one’s life. Americans by and large have been among the fortunate people of the world. There have been relatively few restrictions on their ability to exercise their natural creativity and profit from their toil. They have made the most of it, building an economic colossus and producing, along with their partners in like-minded nations like postwar Japan, a wonderland of technological marvels. Does a new, bright generation of Americans, the teachers who instruct them, and the politicians who lead them understand how this greatness came about? Do they understand that the economy is not something “managed” or “grown” by politicians, but is rather the sum total of the work effort and creativity of an entire population? These private efforts are often inhibited by the mistakes of Washington, but if not too heavily burdened they provide the locomotion for greater abundance and higher living standards. Is that understood? Maybe so, maybe not. Hence this book. George Melloan retired in after a 54-year writing and editing career at The Wall Street Journal. In his last assignment he was Deputy Editor, International, of the editorial page and author of a weekly op-ed column titled Global View. He moved to New York in 1962 to join the Journal’s Page One department as an editor and rewrite specialist. From 1966 to 1970 he was a foreign correspondent based in London, covering such major stories as the Six-Day War in the Middle East, the Biafran War in Nigeria and an attempted economic reform in the Soviet Union. After joining the editorial page in New York in 1970, Mr. Melloan became deputy editor in 1973. In 1990, he took responsibility for the Journal’s overseas editorial pages, writing editorials and columns for the Journal’s foreign and domestic editions about such momentous events as the collapse of the Soviet Union and the open door policy that brought billions of foreign investment into China, fueling its enormous economic growth over a period of 25 years. 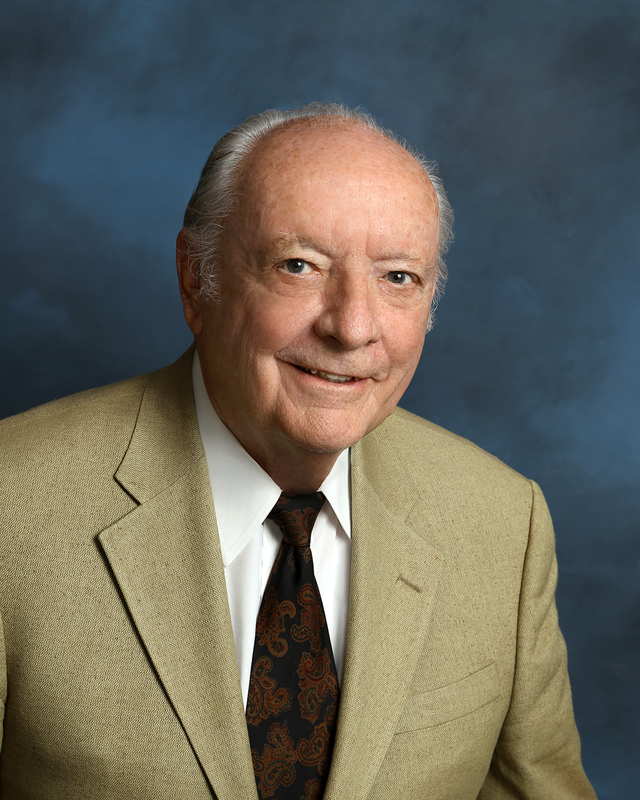 Mr Melloan was winner of the Gerald Loeb award for distinguished business and financial journalism in 1982 and twice in the 1980s won the Daily Gleaner award of the Inter-American Press Association for his writings about the rising Soviet influence in Central America. In 2005, he received the Barbara Olson Award for excellence and independence in journalism from The American Spectator. Mr. Melloan lives in Westfield, N.J. He is a member of the Council on Foreign Relations and the Dutch Treat Club.